In an era when you can follow your snack foods on Twitter, it’s no surprise that business coaches promote their businesses using social media. In fact, businesses of all types are advised to “engage” on social media. Even businesses with deeper pockets have discovered that paid social media advertising is remarkably targeted, allowing them to get a better return on their marketing investment. And they too use “organic” social media engagement to build stronger bonds with potential customers. The scope of social media was something we could hardly envision a generation ago. If you’re searching for a business coach, you will find many of them on various social media platforms. For the most part, this is good, because the web can be unforgiving of people who are discovered to be someone other than who they portray online. Impostors are eventually found out, in other words. But if you’re looking for a business coach, you shouldn’t rely solely on social media to make your decision. The very concept of social media is wonderful. It allows anyone to interact with just about anyone else, sometimes in real time. It has helped people find family and friends they hadn’t heard from in years, and it offers a terrific platform for sharing life’s milestones. You could, for example, contact a business coach through social media directly, learning more about them directly. It can be an excellent tool for learning whether your personality and needs are a good fit for a particular business coach. At the same time, however, social media is not necessarily reflective of real life. People who portray themselves as someone fundamentally different than who they actually are can be depressingly commonplace on social media sites. It’s entirely possible that the mental picture you develop from the interactions you have with someone on social media can be wrong. Maybe you’re actually talking to their representative, or maybe they’re not truthful about their experience or qualifications. Someone purporting to be a business coach could conceivably misrepresent themselves entirely, and these people are almost inevitably caught and shut down. But you don’t want to be the first person who discovers someone isn’t who they say they are online. Don’t be the person who discovers that a “business coach” isn’t who they say they are. 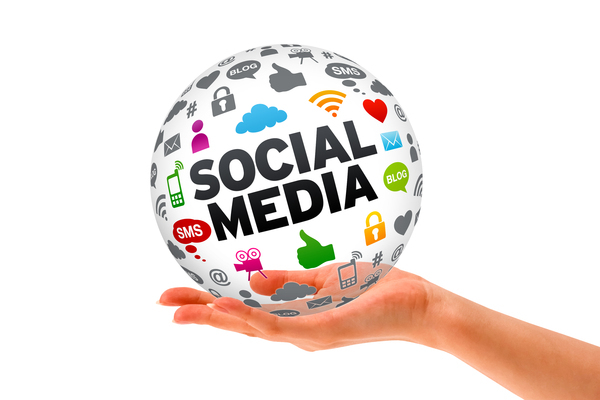 Social media can be part of your evaluation process when you’re looking for a business coach. Many good and well-qualified ones are active on social media, and represent themselves honestly. But it should be supplemented by other due diligence steps, so you can be confident that your business coaching investment will be a good one. Ask if your candidate coach has references you can talk to directly. You may or may not get to do this, since many top-level coaches use confidentiality agreements with their clients, but some clients will waive confidentiality to an extent that allows them to talk about their experience. Learn how your potential business coach gained their qualifications. Did they attend an accredited coach training program? Did they go to the trouble of earning reputable certifications? How long have they been in the business of business coaching? Social media is valuable, but it is just a tool. And tools can be used for good (like the right-sized crescent wrench tightening a nut) or for ill (like the same crescent wrench trying to drive in a recalcitrant nail). Using social media to interact with potential business coaches is a good thing, as long as you do so with eyes open. Unfortunately, there is no shortage of people calling themselves coaches and consultants and trying to drum up business on Facebook without the qualifications to back up their aspirations, and it’s important that you know how to weed them out. Business coaching is a noble vocation, but it’s not something that just anyone can do. Some top coaches use social media to build their reputation and business, and honest coaches can see great results from this. Use social media to help you evaluate potential coaches, but don’t let it end there. Get multiple points of reference before spending your resources on a business coach so you can be confident in your investment. Whether or not you’re interested in working with a business coach, I invite you to check out my blog. It’s packed with valuable information on corporate culture, leadership, and talent management, and can help you make more informed decisions about your business and your career.